Earlier this year, I was able to join the Wedding Photojournalist Association. 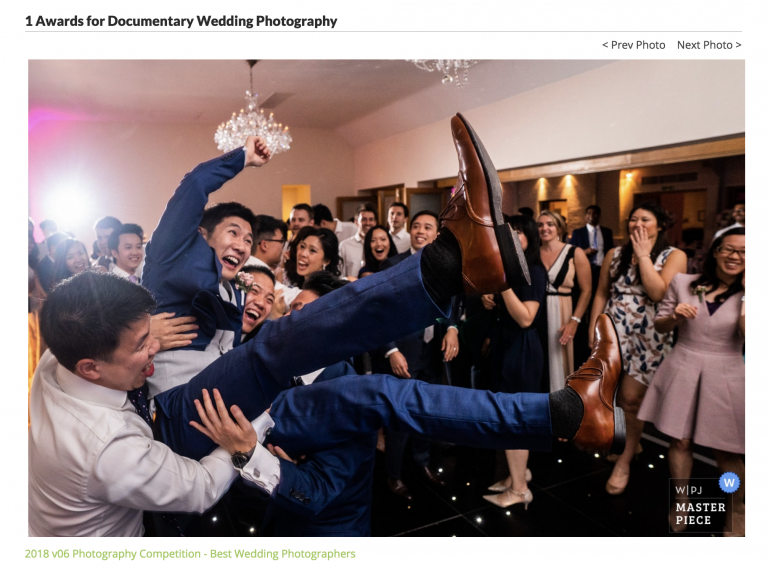 This organisation curates its members to ensure they have the best documentary wedding photographers from around the world. So in order to join, my portfolio has to be reviewed by a panel for high standards and to show that it I took a documentary and photojournalistic approach to photographing weddings. So it was very exciting to be able to join! Just this last month, I photographed the wedding of Ying and Alex at Botley’s Mansion. Their friends were so much fun and the dance floor was on fire! I love that the guys picked up both the groom tossed them around the dance floor. This image was happened so naturally and I’m so glad Ying and Alex had me there to photograph it. For those techie people, this image was shot with a Sony A9, with one on camera and one off camera flash and the awesome 18mm Zeiss Batis Lens.